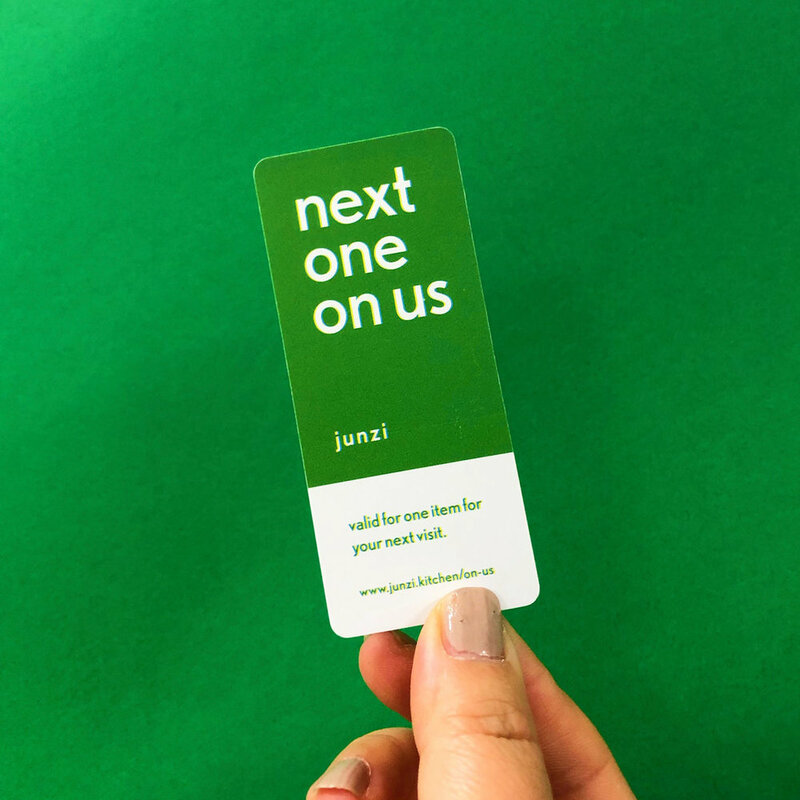 Are you a lucky holder of a Junzi “Next One On Us” card? If so, c0ngrats! All you need to do now is bring your card to a cashier at any of our four locations, and a crew member will help you redeem your any one item on the menu, daily bings and noodles or after hours. THE FINE PRINT: Must bring the physical coupon to redeem. No purchase needed. For in-store purchases only. Merchandise, extra protein, and extra toppings are not eligible. This coupon does not have cash value, cannot be combined with other discounts or offers, and is subject to availability and change at junzi kitchen's sole discretion.